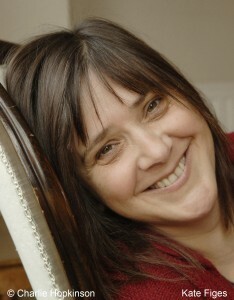 Suzi Godson » Kate Figes top ten tips for a happy marriage…. Kate Figes book “Couples: How we make love last” is out now in paperback. The book is a synthesis of academic literature and in depth interviews with couples. It is not a guide or a ‘how to’, rather it is an attempt to place personal experiences of marriage within a wider historical and sociological context, and what emerges is a very realistic portrayal of the ups and downs of long-term commitment. Last week I spoke to Kate Figes on the phone and managed to extract the top ten most important things she had learned after four years of researching this exhaustive and endlessly fascinating subject. “Sharing things as equally as possible, and approaching everything as a shared partnership, is key to a happy relationship. Pepper Schwarz reckons that a 60/40 childcare split builds a more lasting love for several interesting reasons. Fathers who do more with, and for, the family have more investment in their home and their kids. It makes it harder for them to leave, and harder for their wives to throw them out. 10 . Accept each others flaws.